IRG, owner of Joe's Crab Shack and a few other restaurant chains, is a forming a potential long base bottom, seen on the daily chart, below. 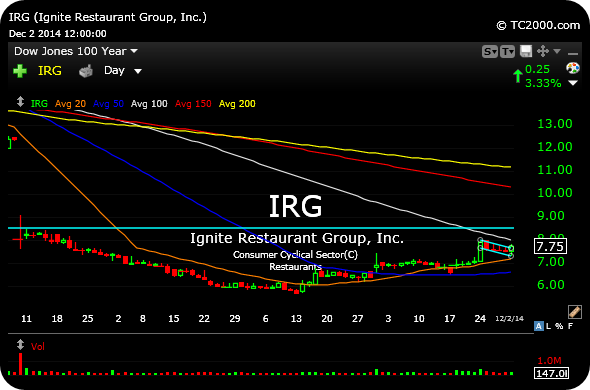 In addition to the technically-sound charts n the casual dining space, namely BJRI FRGI RRGB TXRH (also casual/fast food plays BKW BLMN KONA JACK SONC), IRG may be a long play here if the stock pushes up towards $8 again. Further, if you tend to gravitate towards lower-priced, thinner issues, then this one may be for you. This is a higher risk play than the other names in the sector, due to thin volume. I suggest a stop below $7.50 if you play. You can also see the potential for a major gap-fill higher over $8.50 (horizontal light blue line) as the stock has been flagging nicely over the past week. Overall, the market remains selective in terms of leadership and breakout plays. But the wildcard may very well be if the biotechnology stocks go out the year with a "bang" by blowing off higher, which would likely compel shorts to cover. 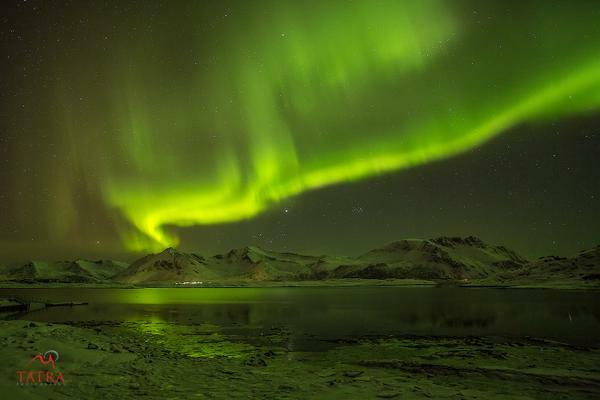 I remain opportunistic in lieu of being dogmatic in my trading, against that backdrop.